Udaipur: Vedanta Group diversified Natural Resources Company, today announced the inauguration of the 500th NandGhar at Chaksu Block in Jaipur and has reached out to more than 17,000 children and 15,000 women, through this programme, aimed to lead the way for early childhood development in Rajasthan, Uttar Pradesh, and Madhya Pradesh. Vedanta has planned an outlay of Rs 800 crore for setting up 4,000 Nandghars across India over next few years. Paving way for a better India, the NandGhar program aims to further impact 4 lakh community members, every year, by making use of NandGhars as community resource centers. Through these 500 NandGhars, Vedanta is committed to ensuring a better future for children and women. 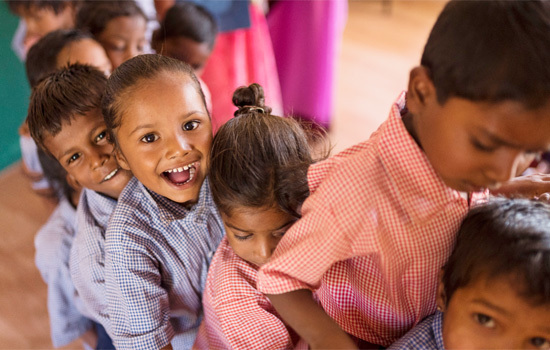 The NandGhars are equipped with a bright, colorful classroom, a safe playground, e-learning, provision for nutritious meals, solar panels and mobile healthcare vans to ensure welfare and progress to not just the children and women but the community too. They are also equipped with clean toilets to ensure safe sanitation and inculcation of good hygiene practices from an early age. The core services provided at NandGhars are early childhood education and nutritious meals for children, skill development training for women and primary healthcare through mobile health vans for the entire community. In addition to this, nutritious meals are provided to over 11,000 children every day. Aside, over 15,000 community members are benefitted by the more than 20 health services provided through mobile health vans. In the latter part of the day, NandGhar is utilized as a center of skill development for women of the community. They are trained to develop business acumen along with learning trades for income generation. More than 8,000 women have been covered through the program, leading to an average incremental income of INR 3,510 per month. They are also provided with microcredit for starting their own business. In a short span of 2 years, the program, in line with Mr.Agarwal ’s pledge to give back 75% of his wealth to the society, has showcased its commitment towards the women and children of India by constructing 500 NandGhars across Rajasthan, Uttar Pradesh and Madhya Pradesh. The NandGhar initiative not only aims to create a demonstration of an integrated service delivery model, which addresses some of the core challenges of government’s flagship Integrated Child Development Services program (ICDS) but also tries to showcase this at a large scale and geographic diversity.